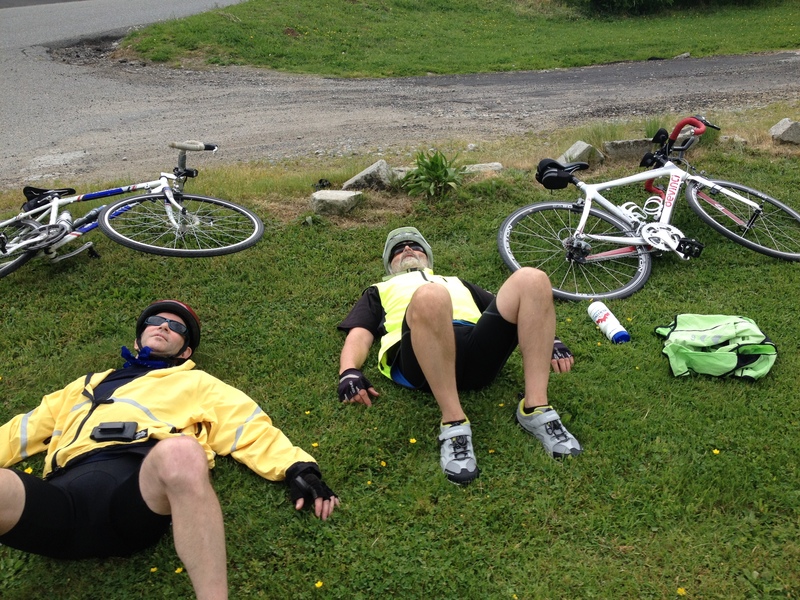 This is what old guys (Mike and Timo) look like when they have just finished a 100 mile/ 160 km day!! The last time I did this distance in one day was when I was 19. Really it was a great work out and we did a three day total of 345 km. Just getting warmed up to doing this 6 days a week when we start our trip across Canada on July 1st! Previous PostElevate Me… SponsorNext PostCycling Virgin No More!